Throwback: Happy 72nd Birthday David Bowie! 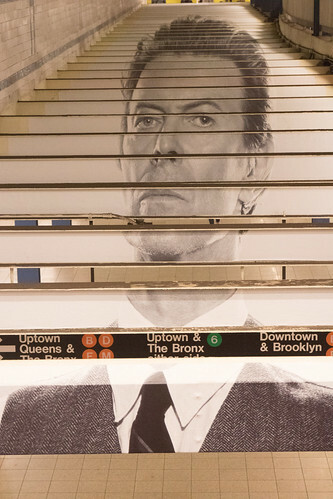 JOVM pays tribute to David Bowie on what would have been his 72nd birthday. Throwback: David Bowie/Happy 71st Birthday, David! JOVM pays tribute to David Bowie on what would have been his 71st birthday. Throwback: David Bowie/Happy Birthday, David! The JOVM pays tribute to David Bowie on what would have been his 70th birthday. 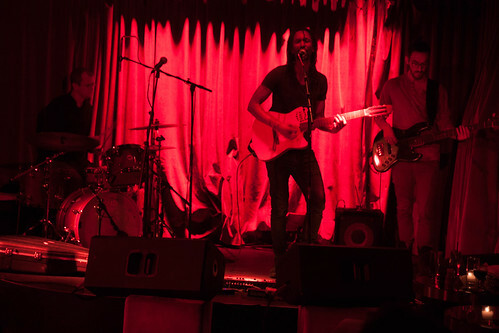 Photo Caption: Daby Toure performing at Subrosa last night with his backing band. Daby Touré is a Mauritanian-born, Paris-based singer/songwriter, who has had a lifelong love and obsession that began with listening to The Police, Stevie Wonder and Michael Jackson over the radio; however, he can trace the origins of his music career to when he taught himself the basics of guitar, while possessing an instinct that music was to be his life. As a teenager, Touré relocated to Paris and his lifelong passion for music gradually drew him away from his studies in business; in fact, Touré began fully immersing himself in Paris’ jazz scene. And after several years of experimenting with his sound and songwriting, Touré met electronic music artist and producer Cyrille Dufay in 2003 — and the duo collaborated on Touré’s critically applauded breakthrough album Diam, an album that was signed to Peter Gabriel’s Real World Records. Interestingly, as a result the Mauritanian-born, Paris-based singer/songwriter opened for Gabriel during the renowned British artist’s 2004 Growing Up World Tour, which allowed Touré to have a growing international profile — with the album being added to playlists across France and the UK. 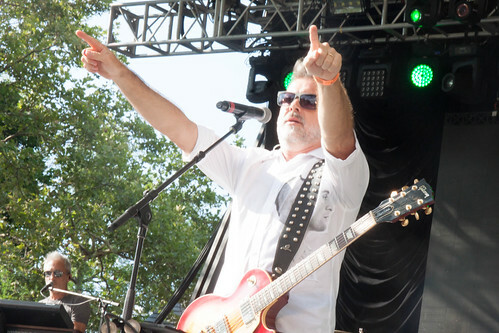 In 2006, the Mauritanian-born, Paris-based singer/songwriter was nominated for Discovery of the Year in that year’s BBC World Music Awards and he released his sophomore effort, in which he collaborated with sound engineer Ben Finlay, who has worked with Peter Gabriel, Sting, Simply Red, Jeff Beck and Robert Plant; and mixer and engineer Tom Oliver, who has worked with Sinead O’Connor, U2, Seun Kuti, Tony Allen, Susheela Raman and Charlie Winston. The following year saw the release of his third full-length effort Stereo Spirit, an album praised internationally for material that possessed catchy hooks and singalong-worthy lyrics — while pushing his sound towards the genre-defying. By 2009, Touré collaborated with bluesman Skip McDonald on the Call My Name EP, an effort that Sing Out! described as being “neither African nor blues, but instead pulls from both and also from rock, a touch of pop and even dub for a unique, appealing and — its as to be said — quite commercial sound. The two voices and styles complement each other perfectly, and the songs they’ve created – for they seem more like creations than compositions – summon up echoes of their histories, but end up in a hybrid that’s essentially completely new.” With the success of his collaboration with McDonald, Touré has collaborated with an increasing number of internationally recognized artists including French pop artists Francis Cabrel and Maxime Le Forestier on Touré’s 2012 French language effort Lang(u)age — and he’s performed alongside Bob Geldof, Rihanna and Enzo Avitabile, among others. As Touré explains in press notes “I was born in Africa And all the traditional music I picked up when I was young is still in me and that doesn’t change. But in my music I am still searching, and mixing, and trying things and that’s what I am doing now. I have travelled far from the ‘traditional’ or ‘folkloric’ music of my country.” In fact, over the past few years, the Mauritanian-born, French-based singer/songwriter has increasingly has merged the linguistic sounds of the six languages he speaks while moving towards a more globalized and universal sound — all while maintaining the accessibility that won him international attention. The recently released music video for the song is a fairly straightforward take on the song, that follows after the song’s thematic concern with the video having Touré encountering a homeless woman and her child, and Touré approaching this woman and her child for a friendly and empathetic conversation that influences his song. Led by its founding member, composer and bassist Ezra Gale and featuring Rick Parker (trombone), Alex Asher (trombone), Jon Lipscomb (guitar) and Madhu Siddappa, the Brooklyn-based trombone-led dub quintet Super Hi-Fi can trace their origins to a rather unlikely beginning. Gale, who was a founding member of acclaimed San Francisco-based Afrobeat act Aphrodisia, an act that once played at Fela Kuti‘s famed Lagos, Nigeria-based night club The Shrine, had relocated to Brooklyn and was collaborating with Quoc Pham in Sound Liberation Front when Gale was asked to get a band together for Pham and Gale’s then-monthly Afro-Dub Sessions parties in Williamsburg. Much like DJ Turmix’s Boogaloo Party, the Afro-Dub Sessions Party would pair the live band fronted by Gale with the dub’s top-flight producers and DJs including Victor Rice, Prince Polo, Subatomic Sound System, the Beverley Road All-Stars and others. 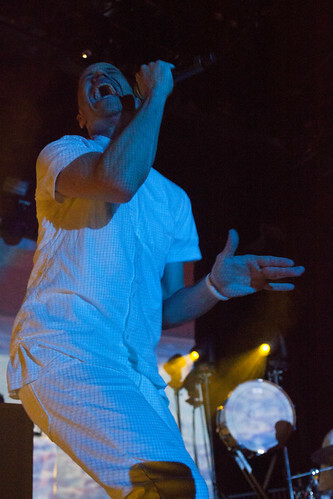 When Gale founded Super Hi-Fi, the project was initially intended to translate the improvisatory mixing process of dub to the live show; however, with the 2012 release of their critically applauded debut effort Dub to the Bone, a busy touring schedule in which they opened for nationally known acts like Rubblebucket, Beats Antique and John Brown’s Body, followed by the release of their Yule Analog Vol. 1 and Vol. 2, the project began to cement its growing reputation for crafting a unique and expansive take on dub and reggae. With the recent release of Super Hi-Fi Plays Nirvana, the Brooklyn-based dub quintet push the boundaries of reggae and dub by paying tribute to Nirvana. And in typical Super Hi-Fi fashion, the members of the band manage to create their own take on the iconic Seattle-based trio’s material with renowned dub producers, Sao Paulo, Brazil‘s Victor Rice; Venice, Italy‘s Doctor Sub; and Brooklyn’s Prince Polo — all of whom are frequent collaborators with the band — assisting to further bend and morph the band’s sound in trippy and psychedelic ways, which help take fairly familiar songs into bold, new territory. Adding to the uniqueness of the release, Very Special Recordings, a small, boutique Brooklyn-based label founded by Super Hi-Fi’s Ezra Gale, that specializes in releases cassettes that showcase the diverse of their borough’s and city’s music scene. Interestingly, while we all live in a world of Spotify playlists and streamable music that one never really owns, cassettes have seen something of a renaissance of late with several artists and labels releasing cassette only releases — and in some way, it’s a response against not just streaming services but against the trend towards technophilia for the sake of technophilia. While being relatively cheap to make and sell, a cassette tape does require a bit of effort — you’d have to go to a physical record store to purchase your favorite band’s new record and then bring it home to play; have a label or friend mail or give you a tape; and at the very least, you’ll probably listen to the whole tape, if not an entire side once. Plus, let’s not forget, that unless your favorite song is the first song or last song of a side, finding it can be a frustrating and time-consuming experience. And yet, if you remember buying cassettes at your local record store, as I do, it’s an experience that frankly I sometimes miss very dearly. I recently spoke to Super Hi-Fi’s Ezra Gale about Super Hi Fi Plays Nirvana, how the arranging and re-arranging process differs from Gale’s normal songwriting process, the band’s upcoming releases and more. Check it out below. WRH: In the Q&As for The Joy of Violent Movement, we almost always begin with some fairly introductory stuff for readers. So let’s begin, shall we? WRH: How did the members of the band meet? Ezra Gale: I had an idea for a two trombone band and placed a Craigslist ad for trombone players which got exactly two responses, from Alex Asher and Ryan Snow, who became our first two trombone players. Everybody else I just met through other musicians. EG: It’s dub, but I don’t know if it’s reggae. EG: The last album I bought was Bowie‘s last album, Blackstar, which is just incredible. WRH: Seminal albums like Nirvana’s Nevermind, U2’s Achtung Baby, A Tribe Called Quest’s The Low End Theory and Midnight Marauders, R.E.M.’s Automatic For The People, Soundgarden’s Badmotorfinger, Superunknown and Down On The Upside, Pearl Jam’s Ten, Vs. and Vitalogy and others reaching important milestone anniversaries, it’s a bit surprising to me that to my knowledge more bands haven’t seriously begun to tackle them with more covers and more tribute albums, especially if you consider how many Led Zeppelin, Pink Floyd, and Beatles tribute albums have been released over the years. Why haven’t there been more Pearl Jam, U2, R.E.M. tributes and covers? And how did you come upon paying tribute to Nirvana? EG: I really don’t know about those other bands, for us we started playing a version of “Something In the Way” a couple years ago, and we all sort of got the idea that maybe a whole album of Nirvana tunes could be interesting. WRH: Much like your fantastic Christmas albums, Super Hi-Fi Plays Nirvana features a couple of very well-known songs such as In Utereo’s “Heart Shaped Box,” and their famous Unplugged cover of “Where Did You Sleep Last Night?” as well as some rather deeper cuts such as “Verse Chorus Verse,” their Incesticide cover of “Love Buzz” Nevermind’s “Something In The Way” and “Polly.” What inspired you to choose those songs to tackle instead of something more tried and true? EG: Well, initially I wanted to do all really obscure ones. Nirvana is a band whose famous songs have been played to death and I don’t know if anyone really needs to hear another version of “Smells Like Teen Spirit”, for example. But I know them from when Bleach came out and they were just this really great, intense band from Seattle that not many people knew- my college band even opened for them then, randomly. So I wanted to spotlight some of those lesser-known songs of theirs. But then, I think i was riding my bike and I suddenly started hearing “Heart Shaped Box” in this really slow, weird way, so we ended up doing that one. Ultimately it’s just about giving each song a different treatment and finding something new to do with it, no matter how many times you’ve heard it before. WRH: How do you go about re-arranging material that’s fairly familiar in a way that adds your particular spin to it — while maintaining something familiar? And how does the process of re-arranging material differ from your normal songwriting process? EG: It is different than a normal songwriting process. This album was very similar to our two Christmas albums (“Yule Analog” Vols. I and II), in that the goal was to take familiar material and make it sound different. And like in arranging those Christmas songs, I made some rules for myself doing it, which were that the melody line had to be the same, but everything else around it could change. So the rhythms are obviously very different, but also, Nirvana was a band with only one singer and we have two trombones, so in a lot of these versions the second trombone part is made up- like in “Verse Chorus Verse”, “Heart Shaped Box” and “Where Did You Sleep” especially. And also the chords are quite different in some of these, “Polly” and “Where Did You Sleep” especially are pretty different chord changes than the Nirvana versions. My attitude towards cover versions is just that there’s no point in doing them if all you’re doing is to play it like the original version. No matter how great the original song is, I don’t ever want to regurgitate what someone else has done- go listen to the original if you want that. At the same time, I think it should be recognizable as the original song, somehow. So the challenge of taking material and sort of shaping it into something different that still has echoes of the original song is something I really enjoy doing. WRH: While doing a little research for this interview, I learned that you’re currently working on your sophomore full-length effort, as well as Beatles/Police 45 for Record Store Day. Could you tell us a little bit about those projects? EG: Yes, we are about 80% done with the mixing for the new full-length album, which is going to be called “The Blue and White” and it will be our second LP of all-original music. It’s quite different I think, there are lots of vocals and different sounds for us. It was recorded and mixed all onto tape too, which has been a real pain in some ways (!) but is so, so worth it- it sounds amazing I think. It will be out in the springtime sometime I think, on vinyl, somehow or other, we haven’t figured out yet. And then the single is done and will be released on Electric Cowbell Records for Record Store Day in April, it’s the Beatles’ “I’m Only Sleeping,” which was actually recorded for our “Dub to the Bone” album but left off it, and a version of The Police‘s “Hole In My Life” which we recorded for the new album, both extremely whacked-out and different versions, I can’t wait to play it for people. WRH What’s next for the band? EG: We haven’t been playing live that much the last few months because I’ve been so focused on finishing these albums, so once we’re done completely with the new LP I’m looking forward to playing a lot more in the new year.